I went into Fantastic Beasts: The Crimes of Grendelwald with a relatively optimistic outlook. I enjoyed the first film as an inoffensive, fun trifle and was mildly intrigued by the trailers for this newest entry that promised to add some connectivity to the later Harry Potter films by means of introducing a young, spry Albus Dumbledor (Jude Law), along with his much-name-dropped nemesis/former lover, Grendelwald (Johnny Depp). Well, the movie does make good on providing a compelling relationship between these two, but unfortunately it’s only window dressing to a movie that has way too much going on and focuses on characters I really couldn’t give two nifflers about. The second film in the Fantastic Beasts series continues the story of Newt Scamander (Eddie Redmayne) who teams up with Dumbledore (Jude Law) and his old companions in an attempt to foil the plans of the notoriously evil wizard Grindelwald (Johnny Depp). The screenplay for Fantastic Beasts 2 was written by J.K. Rowling, and it shows. I’m not saying J.K. Rowling is a poor writer or doesn’t know how to piece together an engaging story, but her characteristic weaknesses are emphasized here. Rowling has a tendency to pull the rug out from under her audience/readers with seemingly preposterous reveals, sometimes it works (Snape’s true character), and sometimes it doesn’t (Dumbledore’s true intention for Harry Potter). She pulls a lot of these tricks, so much so that sometimes they abrasively clash like one train catching up with the other whilst on the same track. These numerous reveals are also mostly told in tiring and dull exposition shots that last for ages. In addition to this, few of these revelations revolve around characters I care about. Remember Credence? Me neither, but hey! Let’s strap in for an entire film about his origin story! There’s also way too much going on in Fantastic Beasts 2. There is no need to have so many various characters and plot lines in a film like this, but there are. This quality also dilutes each of the story lines because none of them are given any room to breathe and are cut between one another in a whiplash-inducing way. All that would have been necessary was a continued story revolving around Newt and co. along with the added Grindelwald/Dumbledore dynamic, but there’s so much more here that doesn’t matter or make sense and is thrown in without the care of consulting a good editor. Now this is merely speculation, but I’m starting to get the impression that Director David Yates may be growing weary of spending time in this universe. This is his sixth (SIXTH!) film in the wizarding world and I really got the sense that he was grasping at whatever he could to throw in here while forgetting to inject meaning and purpose to any of it. Fantastic Beasts 2 also doesn’t really have an emotional core or any compelling story arcs to carry it along. At least the first Fantastic Beasts had a fairly emotional conclusion that was resonant on some level. This one just ends with a wizz-bang smokescreen of special effects that have no emotional crescendo to make them feel special. Fortunately, Fantastic Beast 2 is not a total lost cause. The actors do their best to salvage the screenplay by injecting some life into their characters. In terms of newcomers, Jude Law actually does a pretty great job of portraying a younger Dumbledore. He’s clearly emulating the late and great Richard Harris who portrayed the character in the first two Harry Potter films. It’s just too bad he doesn’t have a more substantial part in this film. Johnny Depp is also surprisingly good as Grindelwald. He’s got charisma and you could believe why other lesser wizards would be duped into joining his cause. 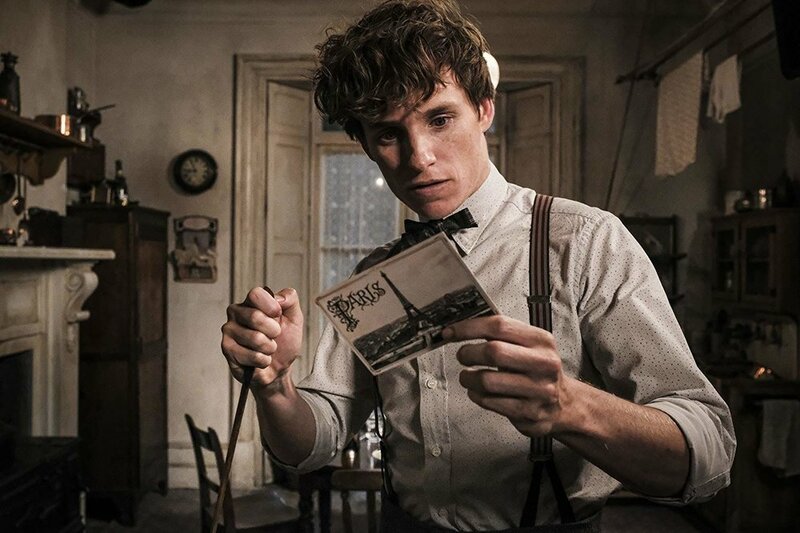 Eddie Redmayne is also still good as the awkward but highly motivated Newt Scamander, even if his plot isn’t forwarded much from the previous film. The rest of the cast is a bit of a mixed bag. Katherine Waterston, who I loved in the first film, gets far less to do here and doesn’t seem as invested in her character here. She’s still fine, but I was expecting more. Same with Dan Fogler, whose goofy charm was a welcome respite from the grim surroundings in the first film. He’s far mopier here due to certain plot developments, which makes him less fun to spend time with. Then we have Queenie (Alison Sudol), whose bubbly personality and budding romance with Jacob’s character was a cute and enjoyable quality of the first film. Well, here she’s given one of the most pathetic character arcs that contradicts everything she was in the first film. It’s honestly hard to think of a character who is more mistreated than Sudol’s Queenie. Another thing in Fantastic Beasts 2’s favor is its production values. The cinematography by Philippe Rousselot is great. There are a good number of impressive shots that successfully display the beauty of Paris in the early 20th century. The effects work and musical score are also to be commended, and there’s no shortage of cool and creative beasts on display here. All said, Fantastic Beasts: The Crimes of Grindelwald is a monumentally disappointing sequel and could be the death knell for this fledgling Potter spin-off series. There are aspects of the film that work, such as the additions of Dumbledore and Grindelwald, and excellent production values, but none of that is enough to salvage an entirely broken script that fails to connect on any emotional level.